Tri Kappa, a women’s volunteer service organization of over 100 active members, reconvened for their annual picnic on August 8th at the Valpo YMCA pavilion after a short summer break. This year marks the group’s 113th year of service to the Valparaiso community. Members of Tri Kappa represent a wide spectrum of the definition of the modern woman. Many are also involved with other service organizations, serve on Boards, or spend hours volunteering. This commitment makes this group very eager to begin a new year of new projects and fundraisers that will benefit Porter County. Prior to the Tri Kappa picnic, as part of a commitment to art education, several members held an art class at the St. Agnes Adult Day Service Center, a facility for people with Alzheimer’s disease. The women of St. Agnes participated in painting while the men were given the opportunity to do woodworking. Painting can be a therapeutic exercise for anyone and this is especially true of Alzheimer’s patients. For them, it is not about the finished product, but rather the process. During the painting class volunteers gave step-by-step directions that broke down the activity into manageable small steps. Tri Kappa members helped the women stay on task, washed brushes, supplied fresh paint and gave encouragement. Each finished painting looked great and the women seemed happy with their work. One Tri Kappa member reported that her grandmother was in the class that day. She was filled with pride when she brought home her painting that evening. Close up of a painting nearing completion. On August 20, Tri Kappa returned to the St. Agnes Adult Day Service Center as part of the Porter County United Way Day of Caring. Volunteers washed windows to let the sun shine in for these elderly adults who enjoy their “day out” at St. Agnes. On August 22, Tri Kappa continued work with the Day of Caring by assembling care and comfort packages for the Visiting Nurses Association Hospice Center. Three of the packages were hand delivered to hospice patients currently in residence. Kappas with the care packages donated by the Iota Chapter and prepared for VNA Hospice patients and families. Also in the week ending August 20, Tri Kappa college scholarship recipients packed up for their first university experience. Over $16,000 was awarded to 15 students who will begin steps toward a career in nursing, teaching, engineering, fine arts, and many more… Tri Kappa scholarship recipients are all headed to universities within the state of Indiana including Ball State, Butler, Valparaiso, Purdue, Purdue Northwest, Notre Dame, and Indiana. As a volunteer organization of over 100 active members, our dedication to charity, culture, and education drives service projects and fundraisers throughout the year. 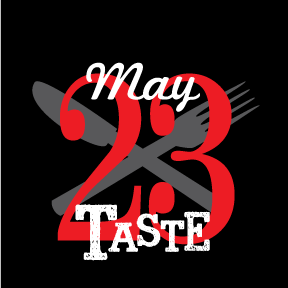 Tri Kappa sponsors the popular Taste of Valparaiso every May to help raise funds to support the scholarships and grants awarded each year. A new event, Girls Night Out, will be held on September 22, 2016, featuring entertainment by local improvisational comedy group, Disposable Theatre. Local boutiques and other businesses serving women will round out the evening of fun and laughter for a good cause. This event will be held at Urschel Laboratories, 1200 Cutting Edge Drive, Chesterton, and begins at 6:30 pm. Tickets are $50 and can be purchased online. Just saw the mosaic mural for the first time since leaving Valpo. Beautiful! What a gift Kappa is to the community. You should all be very proud.